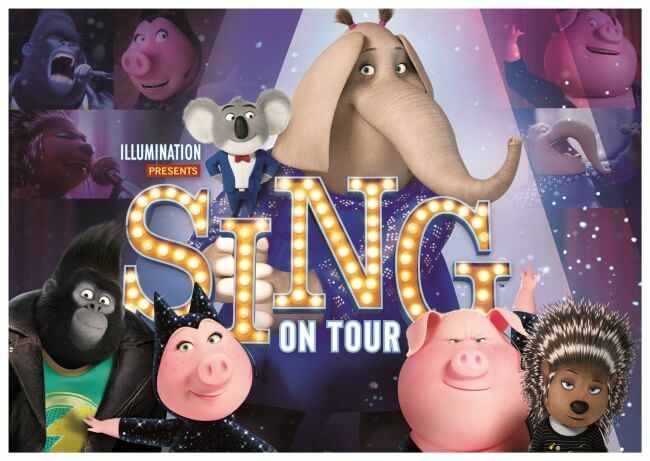 Universal Studios Japan has revealed it will open a new musical attraction in spring 2019 called ‘Sing On Tour’ based on the hit movie Sing (2016) produced by Illumination Entertainment. The 2D characters from the hit musical will come to life to give a fiery performance of lots of famous songs. It will take place in the world’s first Illumination Theater which is being co-developed by USJ and Illumination Entertainment. The story of the attraction begins with the film’s koala and theater owner Buster Moon premiering the new international music show ‘Sing On Tour’ in Japan. Prepare to be thrown into an immersive world of musical entertainment next spring.